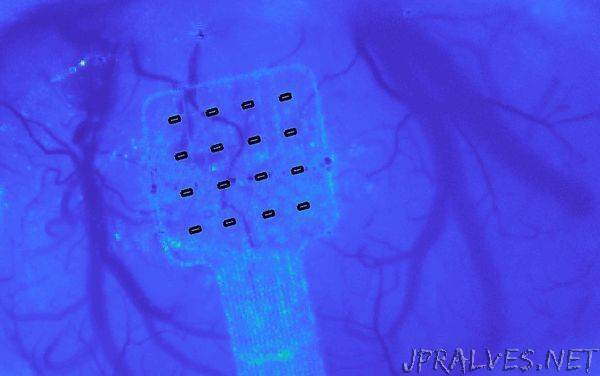 “A newly developed graphene-based implant can record electrical activity in the brain at extremely low frequencies and over large areas, unlocking the wealth of information found below 0.1 Hz. This technology, which will be showcased in the Graphene Pavilionat Mobile World Congress in Barcelona (25-28 February 2019) was developed by Graphene Flagship partners at the Barcelona Microelectronics Institute (IMB-CNM, CSIC), the Catalan Institute of Nanoscience and Nanotechnology (ICN2), and ICFO. The prototype was adapted for brain recordings in a collaboration with the Biomedical Research Institute ‘August Pi i Sunyer’ (IDIBAPS). The study, just published in Nature Materials, describes how this ground-breaking technology will enhance our understanding of the brain and pave the way for the next generation of brain-computer interfaces.